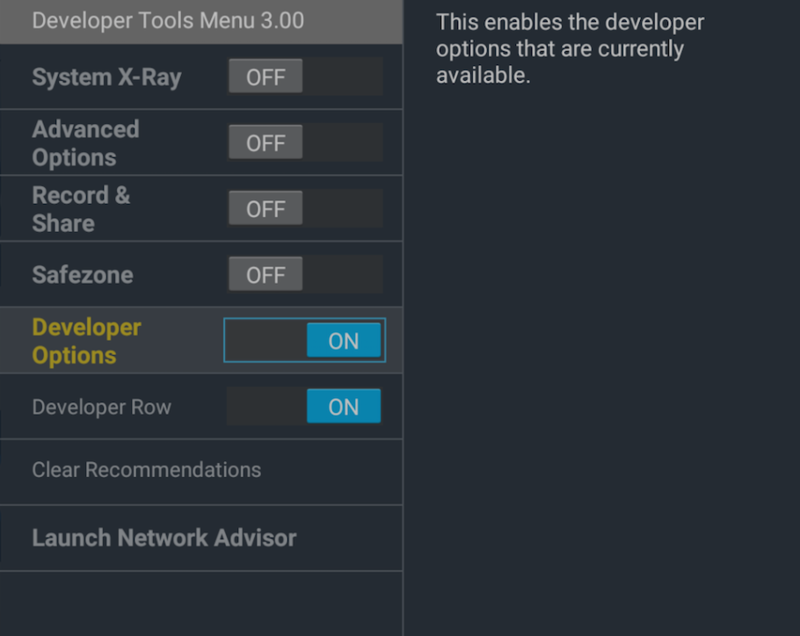 You can test your recommendations through options on the Developer Options Menu. The following steps walk you through this process. Amazon Remote Control: On the directional pad, press and hold the center and down together for 5 seconds. Then press the remote's Menu button. Amazon Game Controller: Press and hold A and Y buttons together for 5 seconds. Then press the controller's menu button. 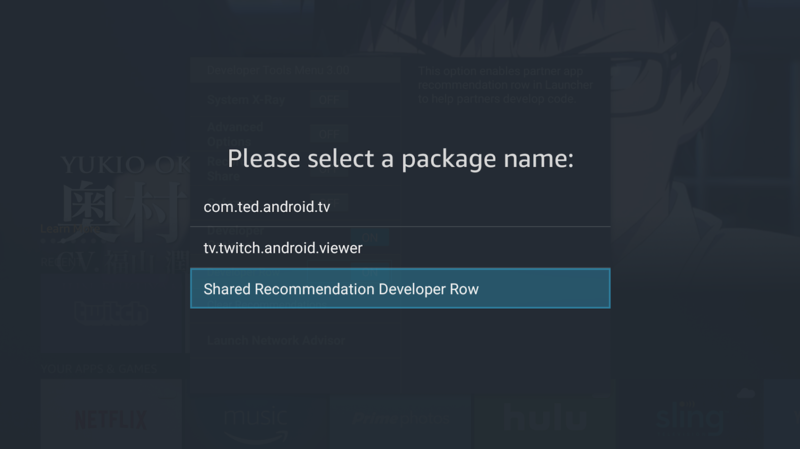 Select the Shared Recommendation Developer Row package. Restart your Amazon Fire TV by going go to Settings > Device > Restart. Open your app and stream content for several minutes. 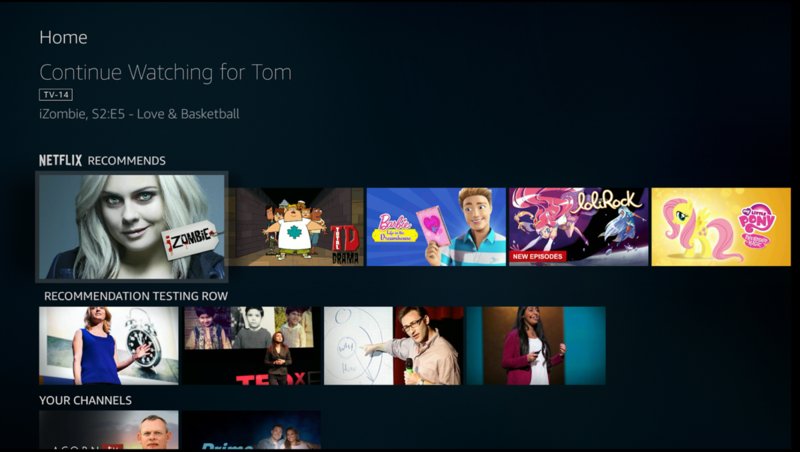 It takes some time for the Fire TV home screen to refresh and pick up the recommendations. After streaming content from the apps, wait about 5 minutes. Then navigate around a bit – go from the home screen to Settings, wait a few seconds, then go back to the home screen.